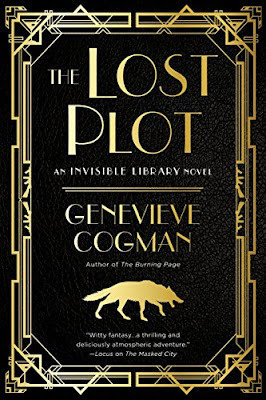 The fourth title in Genevieve Cogman's witty and wonderful The Invisible Library series, this current novel has plenty of action and adventure, and of course, books! 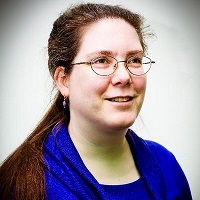 After being commissioned to find not only a rare book but a young Librarian connected to the book they also might be helping dragons searching for it. This is not good as the Library has always remained neutral between dragon and Fae politics. Librarian Irene and her assistant, dragon, Kai, land in Prohibition-era Boston, only to find the library there destroyed and neither the Librarian nor the book in sight. After a run-in with a dragon, Hu, they escape and take a train to New York City, where they are thrust into the middle of a political fight with dragons, mobsters, and Fae. This fantasy mixed with Steampunk has been set in Victorian-like worlds (except the Library—which is a more modern setting), this time we get a world set in the 1920s, which is one of my favorite eras of history. There’s something about gangsters, flappers, and more during this time, that has always fascinated me. The Lost Plot delivers the time well. If like me, you enjoy the Roaring Twenties, adventures concerning libraries, Librarian heroes, and fantasy and traveling between alternate realities, The Lost Plot, will give you what you want. I give The Lost Plot (The Invisible Library #4) 5 sheep.